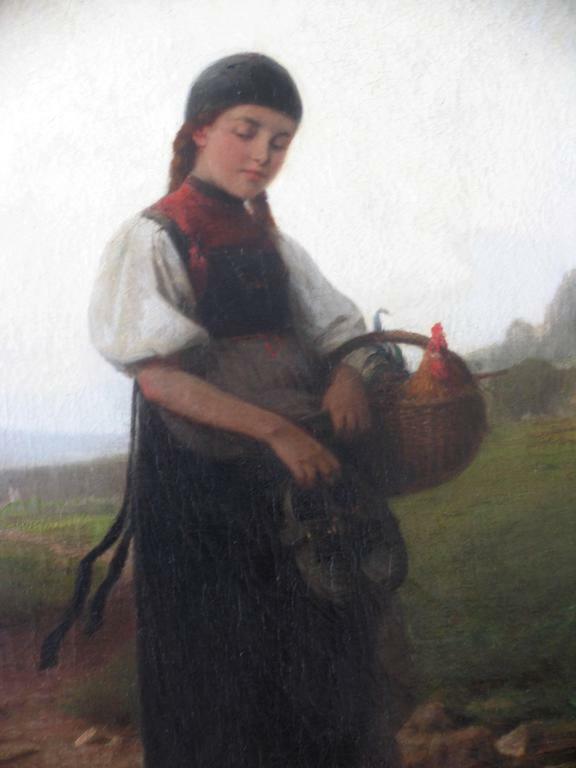 A girl wearing a traditional German costume is carrying a rooster in a basket. 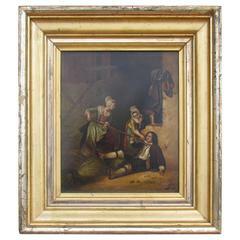 The German painter Heinrich Ewers was born in Wismar 1817 and died in Duesseldorf 1895. Oil on canvas. 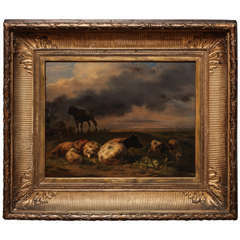 The painting will be directly shipped from Germany. Please ask for a shipping quote. 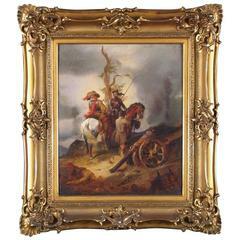 Meno Mühlig (Eibenstock 1823-Dresden 1873), "Battlescene of the Thirty Years War (1618-1648)", oil on canvas, signed and dated "Meno Mühlig, 1851". 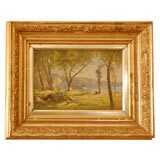 19th century French painting, signed: "M.J.Metz", oil on metal, size with frame: 15.5 x 13.7 inches (38.5 x 35 cm). 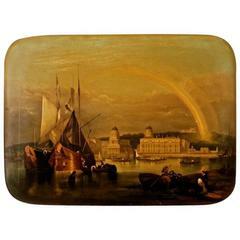 Very decorative painting of an unknown artist. 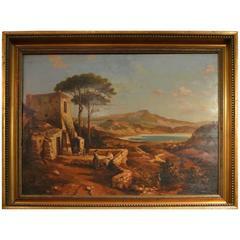 "View of a North Italian Village by a Lake," oil on canvas. 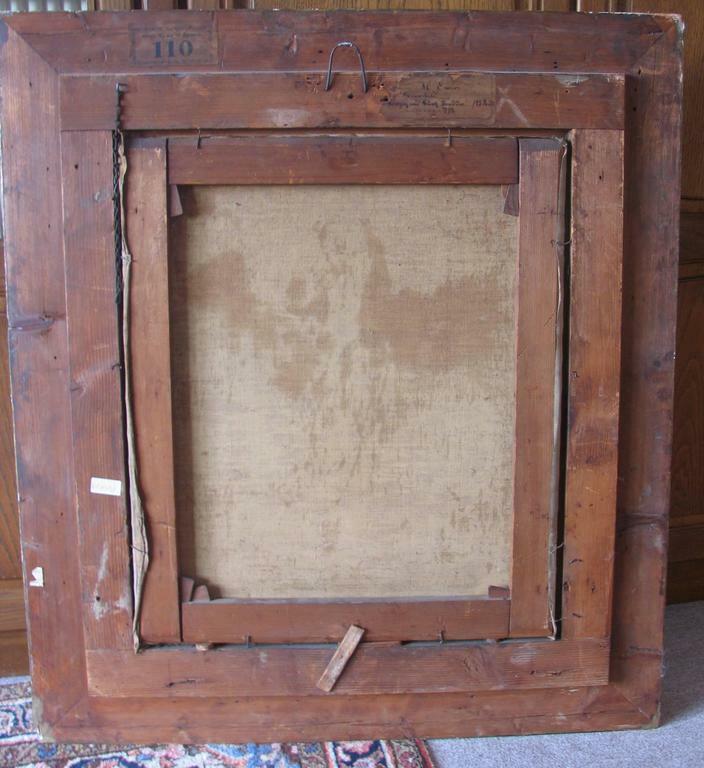 Measurements without frame: 11.5 x 19 inches. 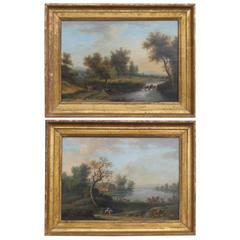 Pair of end of 18th century/early 19th century landscape paintings with pastoral scenes. Oil on wood. The paintings will be shipped from Germany. Please ask for a shipping quote. 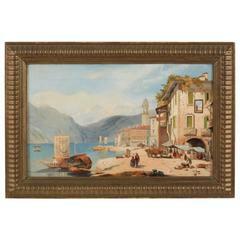 19th century painting, artist unknown signed. 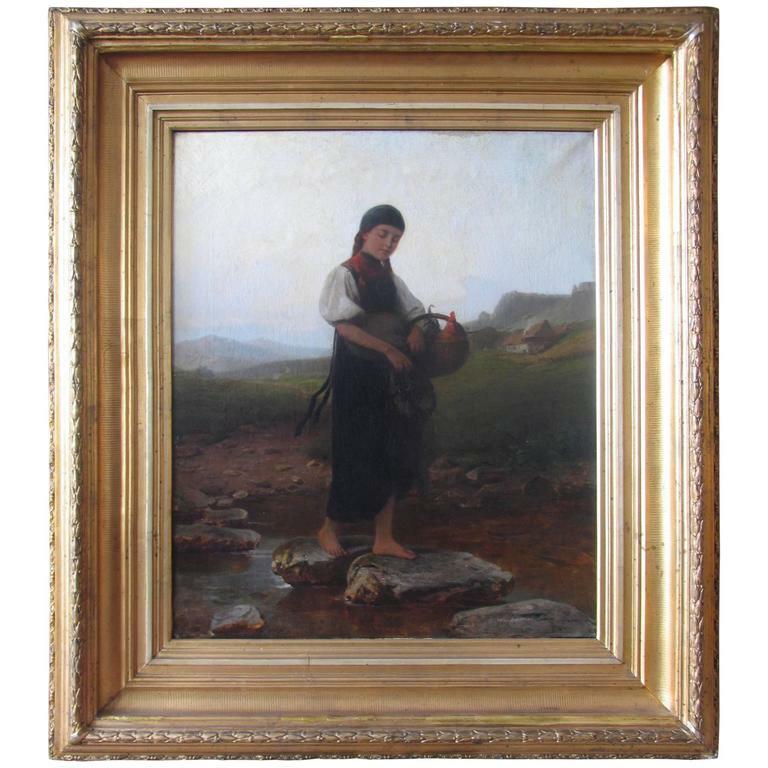 Qajari 19th century painting Measure: 45 x 30cm.